With Newbury Street only a few blocks away, Boston University students rarely have to worry about finding fashion-forward clothing. The issue, rather, is how students can afford to look fashion savvy without breaking their bank accounts. 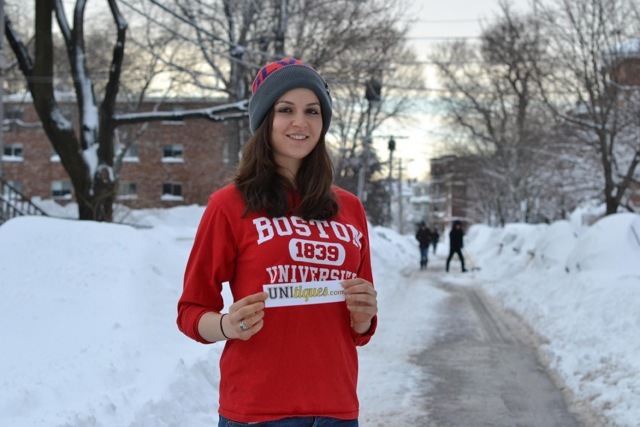 In such a cosmopolitan area, it’s no wonder that BUtiques, the Facebook group started by BU junior Alexandra Shadrow that allows students to post photos and sell their clothing, became a popular hit. Unitiques, the free service that is based on BUtiques, will not only help those struggling students in bustling cities, but students nationwide. The host website will be the selling grounds for furniture, clothing, kitchen appliances, and the like. Fashion friendly students will no longer be the only people attracted to the site, but those with more realistic intentions can also find what they’re looking to have or even get rid of. Somewhat like a virtual thrift store, students can browse a plethora of products from Maine to California. Exchanging items is possible, and students can have confidence in the products they will soon be getting based on users’ reviews. The fashion industry is constantly changing, which can make it difficult for students on a college budget to stay trendy. If someone wears something only once but happens to run into everyone while in it, he or she may already be looking for a new outfit to sport. Or if someone moves apartments and is looking for a change in scenery, he or she may find it time to decorate a little differently. Unitiques will allow students to search thousands of products with potential sellers without ever having left the couch, and often prices will be negotiable. Sounds like a pretty good deal for those of us already thinking about student debt.